In 2016, global tree cover loss spiked 51 percent over the previous year — resulting in a loss of forests the size of New Zealand. Needless to say, losing enough trees to cover the entirety of New Zealand in one year is worrisome for the climate. To follow through on their promise to protect forests and end climate change, countries can and must do more to reverse these trends. Although many countries allude to their intentions to reduce emissions from forests in their official contributions to the Paris Agreement, too few include explicit or ambitious goals to do so. It should go without saying that developed countries have the responsibility to lead by example. This makes the European Union’s recent decision allowing members to increase forest harvests all the more concerning. The lungs of the planet let out a long sigh of relief when given their own special place in the Paris Agreement in 2015. It’s not every day the trees in our collective backyard get such a prominent nod of respect for the important role they play in safeguarding human existence. But there it was, spelled out clearly in the landmark climate accord, with language urging all countries to conserve and enhance forests. The math shows that halting climate change is impossible without forests. Combined with phasing out fossil fuels and a transition to clean energy, reducing emissions from forests is critical. As new research suggests, the land sector — which includes forests — could provide more than one-third of the overall cost-effective emissions reductions the world needs by 2030. Notably, forests have the potential to deliver over two-thirds of those reductions. There are very few cost-effective and practical ways to combat climate change, and ending deforestation and scaling-up reforestation are two especially important methods. Despite concerted efforts to address the problem, deforestation and forest degradation have been on the rise. In 2016, global tree cover loss spiked 51 percent over the previous year — resulting in a loss of forests the size of New Zealand. Needless to say, losing enough trees to cover the entirety of New Zealand in one year is worrisome for the climate. Not to mention the impacts on the more than one billion people who depend on forests for their livelihoods or the loss of innumerable plants and animals that call forests home. To follow through on their promise to protect forests and end climate change, countries can and must do more to reverse these trends. Although many countries allude to their intentions to reduce emissions from forests in their official contributions to the Paris Agreement, too few include explicit or ambitious goals to do so. Currently, the individual goals countries have put forward as part of the Paris Agreement set us on a trajectory of at least 3°C of warming, double the most ambitious goal of the agreement to limit warming to 1.5°C. 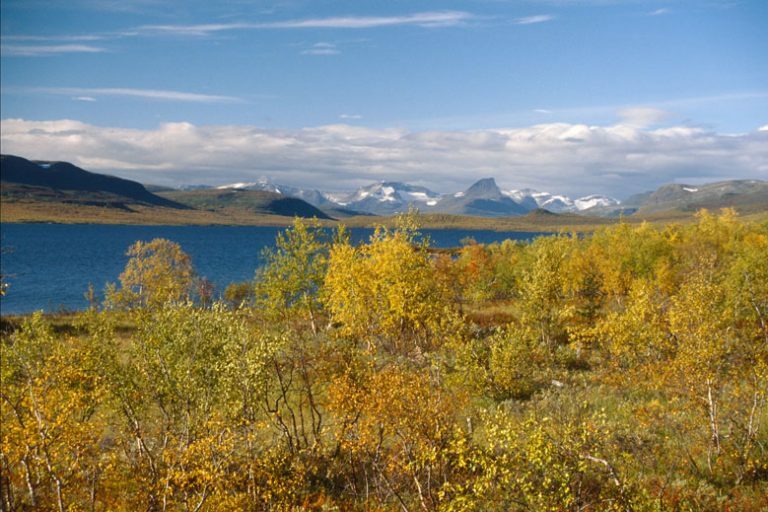 Autumn colors in boreal forest along Finland’s Kilpisjärji Lake. Norwegian mountains in the background. Photo © Mauri Rautkari / WWF. Intentional emphasis is placed on forests in the Paris Agreement, which lays out clear expectations for countries to protect forests. While slowing deforestation in the tropics is an important piece of the puzzle, all countries committed to conserve forests as part of the Paris Agreement. From the boreal to the tropics, both developed and developing countries are expected to take immediate action to protect forests. It should go without saying that developed countries have the responsibility to lead by example. This makes the European Union’s recent decision allowing members to increase forest harvests all the more concerning. The EU will permit members to cut down more trees in managed forests through 2030, and claims this decision is consistent with the objectives of the Paris Agreement as long as emissions from harvests do not exceed emissions absorbed by the overall land sector. But timing is key: Emissions released by harvests now will not be reabsorbed completely for decades. And, at the end of the day, an increase is an increase — an alarming rebuke of the level of urgency required. At a time when drastic efforts are needed to reduce emissions from all sectors, there is no wiggle room to increase emissions from forests. By pushing the need to act down the road, the EU is ignoring its pledge to the Paris Agreement and setting a dangerous precedent. Other countries have already employed artful dodges to avoid meaningful climate action, and others could follow suit. There is an acute need for oversight and transparency to ensure that countries do not shirk their responsibility to protect the climate and forests. As countries continue to debate the details of how the Paris Agreement will work in practice, they must push for strong rules and hold each other accountable for all sources of emissions and transparent and accurate reporting. 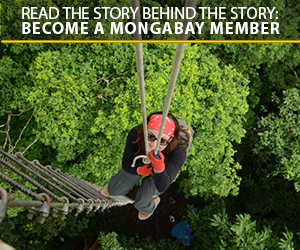 There must be zero tolerance for planned deforestation in the name of climate change action. Countries cannot be allowed to pretend that a successful bid to end climate change does not include immediate action to protect forests. Failing to take stronger action now will cement an uncertain path for the planet, for forests, and for people. 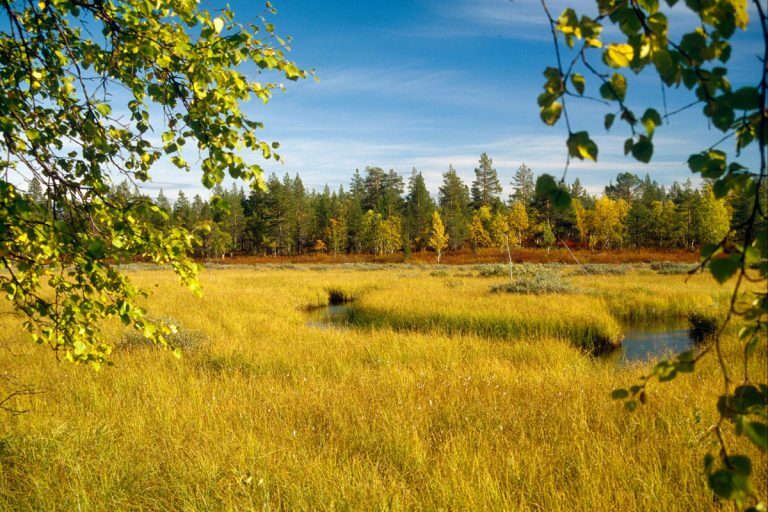 Typical autumn boreal landscape in the Finnish Lappland. Photo © Mauri Rautkari / WWF. Chao, S. (2012). Forest Peoples: Numbers Across the World. Forest Peoples Programme. Josefina Braña-Varela is Senior Director, Forest and Climate and Karen Petersen is Program Officer, Forest and Climate at WWF.